Preparing to take the patent bar examination requires a healthy amount of dedication. As with any higher education test, developing good study habits and time management skills will really go a long way in passing the assessment. The patent bar exam is certainly no exception to this as it’s no walk in the park. Thankfully, there are a few great tips you can follow in order to successfully pass this exam and get started with your career in patent law. In order to stand any chance of passing the patent bar, you’ll need to familiarize yourself with the Manual of Patent Examining Procedure, or MPEP for short. This material is where the all the questions in the exam are based. It’s imperative that you read and re-read this material until you feel comfortable with everything it contains. A patent bar review course will definitely help you get familiar with the MPEP and in far less time than just reading the MPEP on your own. Once you’ve achieved a confident level of understanding with this material, one way to prepare yourself for the actual exam is by creating your own multiple choice questions. Though this may take a bit of time, it’s great practice to put yourself in the shoes of the people tasked with writing the questions and answers for this test. By creating your own questions and answers, you’ll be better able to get a solid grasp of the important topics that will most likely show up on the actual exam. It’s also a good idea to take actual practice exam questions simply to get a feel for how these sorts of questions are worded and to get more comfortable with questions they might ask. 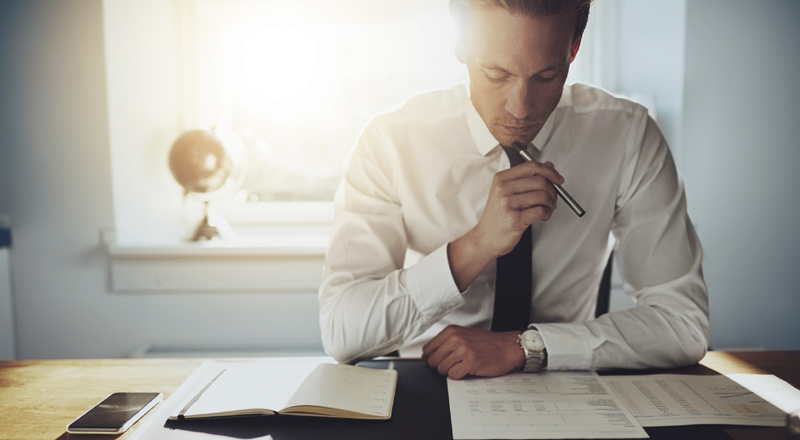 Another tip to pass the patent bar exam is to plan and begin preparing well before the actual test date. This exam is not easy and will take weeks, if not months, to adequately prepare for. If you plan on pulling an “all nighter” in order to cram all the information necessary to pass this exam in your head you will certainly have trouble. It’s best practice to map out specific blocks of time where you’ll do nothing but study for this test over a period of a few weeks, this will allow you to gather and retain all the information gradually so you won’t be overwhelming yourself. Studies show that studying the same information in small chunks of time, or spaced repetition, can result in better retention of information later. This does require a fair bit of time management and dedication, especially for those who are trying to accomplish this task while already adhering to a very busy schedule. You can also study before you go to bed as your brain tends to strengthen memories you create right before you sleep. You may also remember information for longer, as studies show that the deterioration of memories is slower if those memories where created right before going to sleep. With that said, never bring your computer or iPad into bed with you to study, as blue light can disrupt your sleep. In fact, ditching the screens altogether may be a good idea when studying. The urge to check social media can be a constant distraction and television in the background will have your attention divided. As far as tips to use when taking the actual exam there are a few things that you should keep in mind. These tips can also be used when taking any multiple choice exam as they are fairly proven strategies. The first of these tips is that with multiple choice exams like the patent bar exam answers are rarely found in absolutes. This simply means that if you run across answers that have the words “never” or “always” in them they are typically not going to be the right answer. Conversely, if you come across answers with the words “sometimes” or “often” they are more likely to be correct. This is especially true with the patent bar exam as there are more commonly a variety of solutions to issues in regards to this subject. Of course, that’s not to say that answers dealing in absolutes are always going to wrong, but if you are unsure of an answer and you find one of these options as a choice it’s best to choose otherwise. Another thing to keep in mind when taking the patent bar exam is that if you find an answer to a question that has the words “all of the above” in it, this may be your best bet if you are unsure of the answer. These types of solutions are more likely than not to be the correct choice. With that in mind, if you come across an answer with the words, “none of the above” in it, then, more often than not, it is the wrong answer. Multiple choice tests, especially the patent bar exam, won’t make things easy on you and choosing a “none of the above” answer is usually a trick. A few final tips are to not take longer than a couple minutes on a single question. If you find yourself stuck for an extended period of time simply skip the question and come back to it later. Also, if you absolutely must guess on an answer, it’s best practice to pick one of the middle responses such a “b” or “c”. These middle answers are more typically shown to be the correct response as opposed to “a” or “d”. Hopefully, these tips will help both your studying practices and test-taking abilities. Investing in the Patent Education Series review program or one similar to it will give you all the resources needed to successfully pass the patent bar exam. The patent bar exam is the biggest step in your journey to becoming a patent attorney or patent agent. In many cases it will also be the last step you need to take to begin your career. Before taking the patent bar examination, you want to be prepared and brimming to the top with all the right information. The patent bar is a difficult exam. There are bright sides to the exam, like the fact that it’s all multiple choice questions and that you’re allowed to have the MPEP manual by your side while testing. This should help alleviate some of that stress on your shoulders. However, your test time is limited and shuffling through the MPEP for an answer will eat up your valuable time. You’ll want to answer as many questions as possible without using the MPEP. So, what can you do to be prepared? Of course, it is more than simply guessing multiple-choice questions, you need to be prepared as possible. These tips will have you prepared and give you the positive mindset you need. Having a plan of action will help keep you organized while you’re studying. You’ll want to create a structured study plan that you can stick to regardless of any distractions. Do you study better at night or in the morning? Do you have to study around a work schedule? Make sure your study schedule is what works best for you so you can optimize your learning and studying skills. You should also create a study plan on what you’re going to study and when you’re going to study it. You want to be making sure you’re studying the most important patent cases and the important patent laws. Set goals for yourself but make sure they’re realistic. Set a goal of how many pages you’re going to read that day or what information you want to have absorbed by the end of a study session. This gives you something specific to focus on. It helps to ease your mind if on the day of the exam—you know exactly what office building you need to go to and what room you’ll need to report to. This will help maintain the organization you’ve been relying on. If you’re running around and not sure where to go, you’ll stress yourself out. You don’t want to go into the exam blindly. The best way to be prepared for the patent bar examination is to take a study course that caters specifically to the patent bar exam. There are live courses you can take but that’s not your only choice when looking for a patent review course. We have been offering an independent study review course for over a decade that’s helped prepare countless students to pass the exam. We offer you all the tools and the information that you need to pass the patent bar exam. Through an independent course like ours, you can study with the aid of your laptop (or even your smart phone) wherever you are. Our interactive course allows you to remember what you’ve learned so you can use the information when you need it. Adding a study group to your study mix can be extremely beneficial to your learning, especially if you’re a social butterfly. You won’t get lonely during all those hours of studying. This also gives you a support system to lean on. You’re all taking the patent bar, so all of you will know and understand the pressure the exam will have on you. You can prepare notes, discuss study techniques, and you can even have someone to talk to if you start stressing out over the exam. It’s possible to find someone online to lean on, even if there’s no one near you geographically. Everyone learns differently and everyone studies differently. All of our brains are unique in the way we remember, think, and perceive information. Studying in a group will open you up to new ways to study and to retain the information you need for the exam. Believe it or not, studying before bed can help you retain new information better than studying any other time of the day. It used to be a myth we all relied on the night before a big test in high school. Now there’s science and numerous studies to back it up. During sleep, our brains create new neurological pathways to help retain the information we absorbed before bed. The cortex of our brain remains active while we’re catching some sleep. Speaking of sleep, you need a healthy night of sleep before the exam. If you stay up all night studying, chances are you’ll be drained right when you walk into the exam room. You’ll be forgetful, you’ll be sleepy, and your concentration (and your confidence) will drop. And you need to be at your top performance level to handle the 6 hour exam where difficult questions will be thrown your way throughout the entire day. So don’t skip out on sleep the night before. Practice tests are a fantastic asset when studying for an exam. They let you know where you’re at with your studying and what you need to focus on. Do you love music? Music (without lyrics) has been known to help study nights run smoother and help you remember all the information you’re feeding your brain. A healthy breakfast before the exam will boost your energy levels, reduce any test anxiety, and boost your confidence. Studying to become a patent attorney or patent agent doesn’t have to mentally exhaust you. There are instrumental tips you can use to optimize how you retain information, what you retain, and how to use that information to not only pass your exam but to continue to use the information you learned throughout your patent law career. If you’re interested in pursuing a degree in intellectual property law, you’re required to take and complete a variety of classes that are directly related to intellectual property law at a qualified law school. The path to this career isn’t easy and requires dedication and effort, but once you complete these requirements you’ll be involved in one of the fastest growing practices. Due to the growth in both technology and the global economy, many law firms are taking on more and more cases involving copyrights, trademarks, and patents. Before we get into the actual classes you can expect to take when specializing in intellectual property law, its first important to note that each and every law school is different and has different requirements for their law degrees. The courses in this article are usually required for a general IP law degree, but some schools may require more or less coursework than others. In order to get a more concrete idea of what courses you’re expected to take, it’s best to research the particular school you’re thinking of attending. Without further delay here are some of the classes you should expect to take when pursuing a degree in intellectual property law. Since intellectual property law consists mainly of protecting individuals from copyright, trademark, and patent theft or unfair use you should expect to take law classes dealing in those subjects. The first course type we are going to talk about is copyright law, which is intended to teach you about the various theories and methods lawyers use to protect an individuals or companies intellectual and creative properties. These include, but are not limited to, copyrights on computer software, architecture, music, literature, television programs, movies, video games, artwork, advertisements, and puzzles. There are certainly many other types of intellectual properties that are protected by copyright laws but these are some of the more common types. 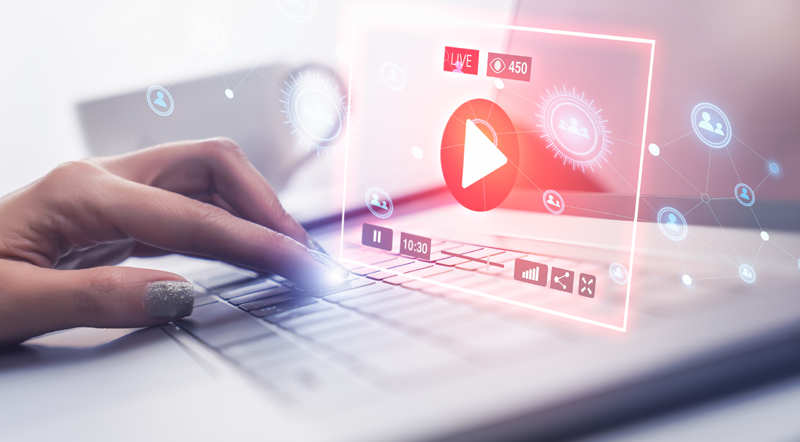 Copyright classes will teach you about the rather complex federal statutes that are in place to protect against copyright infringement, but will also touch on some related laws that can provide an alternative means to copyright protection. Another set of classes you would take in a general IP law program are those concerning patent law. These classes will teach you all about the various laws and ways a lawyer would go about procuring patents for clients, the sale and transferring of patents, as well as the enforcement of patents. You’ll basically have to show that you have a solid understanding of the rather complex statutory language that defines patent law. You’ll also have to be able to show that you’ve learned how to apply prior court decisions on patents to justify other cases, as well as show an understanding of how and why you would conduct business transactions involving patents. The fun doesn’t end there as you’ll also be taught how to fully understand the impact of the burden of proof and how various pieces of evidence can be used to assess patent disputes. Finally, you’ll learn about the rather complex situations where there are levels of ambiguity to patent laws and how you would hypothetically asses those ambiguities using the facts of the law. Trademark law is another coursework set you will take in an IP law program. Trademark law deals with the investigation and protection of trade symbols. Trademark law explains how and why certain images are protected from unfair use such as using the Burger King logo on T-shirts for sale without their permission. Of course, there is much more to it than that, as you will also learn about how various laws protect individuals and businesses from using and abusing their protected trademarks. In addition, you’ll also become well-versed in actionable false advertising, the law of branding, knowing the difference between trademarks and the other types of intellectual property and how they relate to the law and understanding how trademark law works in relation in the context of unfair competition. You may even be required to learn about how United States trademark laws relate to that of other countries, as well as the procedures and resources available to register trademarks. These three subsets of IP law will serve as the backbone of your IP law program, but you may also be required to take an introductory course concerning intellectual property that will set the tone for the other classes mentioned in this article. This course is basically a preview of what intellectual law is which can be a great way for aspiring lawyers to test the waters of IP law in order to see if it’s something they wish to pursue. There are a few other courses that are recommended for law students pursuing a career in IP law such as patent prosecution, law, science & biotechnology, and antitrust courses. Taking these courses will certainly get you on the right track to a glorious career in intellectual property law, but you’ll also be required to pass certain tests in order to become licensed to practice these types of cases including the patent bar exam. Engineers and law are a powerful combination. Communication skills learned in law school complement the quantitative skills developed in engineering training. Analyzing legal cases is similar to techniques used in scientific problem-solving. Patent law is a specialized legal field which involves the trademarking of new products and inventions. Because of this, lawyers and graduates of certain scientific and engineering fields are the only ones who can sit for the patent bar exam. Engineers falls into this specialized group. Engineers should consider learning about patents because it offers an alternative to the regular work an engineer would take on and because it offers the potential of a high salary. An engineer can succeed in the legal field if some common pitfalls are avoided. The traps tend to make it hard for engineers to adjust to studying law. Once aligned, engineers do as well in law school as their political science classmates. 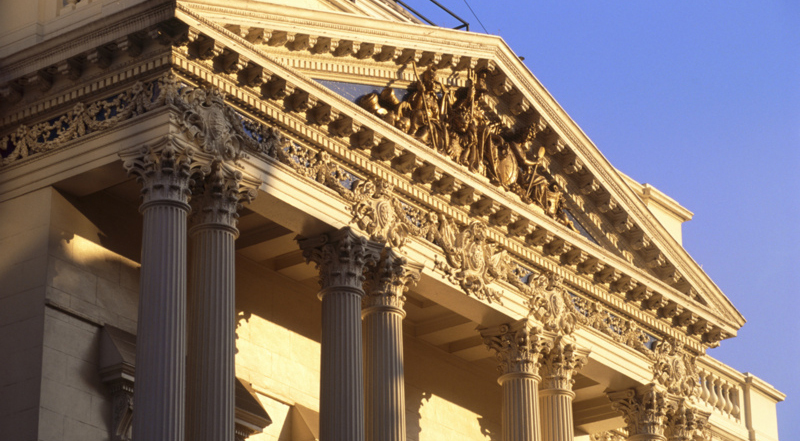 There are aspects of law school that are particularly foreign to many engineers and techies. Reading, Writing & Testing: The sheer volume of required reading is daunting. It is not unusual to be assigned more than 100 pages to read per night. Reading law material is different from reading a novel. Extremely dense cases slow down even the fastest of readers. Case briefings are also a daily assignment and fast students need several hours to keep the pace. The time crunch is at its worst in the first few weeks when students have no idea what they are doing. It’s also rare for a student in a science based field to have well developed writing skills. Although science and engineering students may be used to preparing lab reports, law students must be able to prepare well-thought out, well-written dissertations and essays. Likewise, exams will often test in a real-life, analytical scenario. While scientists and engineers are used to clear cut, fact based exams, exams in law school will require employing critical thinking instead of necessarily simply giving the “right” answer. Luckily, there are many aspects of legal education that people with a techie background have a distinct advantage with. Analytic Skills & Math: Legal analysis follows a logical progression. It is similar to proofs. Techies know how to think analytically. Non-techies often struggle with this aspect of law school. The engineer has to learn to convey logic in words to produce effective legal writing. The engineer will also have a leg up on other students when it comes to crunching numbers. 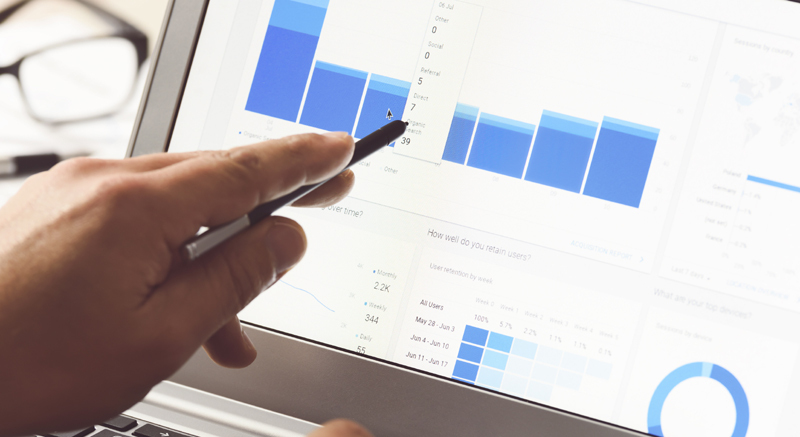 Patent Law requires lots of in-depth analytics of statistics. Not only will engineers be able to properly analyze and makes sense of the statistics, but legal battles are often won with logic. Try not to get too concerned about the trials of a legal education. All law schools require first-year students to take a legal writing class, which will help you to develop the writing skills you need to get through. It is essential for engineers to take the class and develop needed skills for final exams. To ensure that you are successful in taking the patent bar exam, you can also participate in prep classes and study groups as well as take part in test exams to ensure your success. Read cases and begin learning how to analyze them. Becoming a patent agent or patent attorney is not the only career option in the area of patent law. However, only students with science and engineering backgrounds can sit for the patent bar exam. Along with the rise in technology over the last 15 years, the demand for intellectual property attorneys has also risen, as well as job prospects for qualified students. Patent attorneys and agents help clients with the patent navigation to acquire patents for their inventions. A patent agent does not have to have a law degree. The list below gives the median salaries of different types of engineers, patent agents, and patent attorneys. The experience an engineer accumulates by earning an undergraduate degree in engineering makes patent law an ideal field to move into. The only new credential needed to become a patent agent is passing the patent bar exam. However, as you can see, obtaining a law degree and passing the patent bar exam leads to a more lucrative patent attorney career. Engineers work with their hands and on computers. Attending meetings and communicating with team members or management may also be duties performed. Patent agents don’t work much with their hands. Most of the day is spent drafting patent applications or overcoming rejections. They spend time communicating with other office members. Communicating with inventors whose patents they are trying to acquire is also necessary. The inventors may be individuals, groups, or an engineering company or university like the one where you are currently working. Patent agents likely protect more inventions than they would as an engineer or inventor. The exam is a multiple-choice, six-hour exam that contains 100 questions. Details from the Manual of Patent Examining Procedure are tested. When the USPTO introduces new guidelines, supplemental material may need to be reviewed. The exam is “open-book.” The candidate has access to the MPEP that outlines all patent law aspects. It contains thousands of pages that do not include the supplemental material. The search function is limited. To benefit from taking the open-book exam, the candidate needs to know topic locations. The test is timed and does not allow for every question to be researched. It takes many people a full year to prepare for the exam. The average time spent studying is three to six months. Passing the exam is worth the trouble. There are various scenarios for patent agents seeking employment. Many former engineers immediately obtain a job after passing the exam. Some acquire entry-level positions before preparing for the test. There are those who work first for a technology transfer office. Others gain immediate patent agent employment. In addition, the status of an engineer is elevated upon receiving the credential of a registered patent agent so taking and passing the exam is really an opportunity for nearly any engineer. You are going to fail at some point in your patent law career. You are going to fail at some point in your life. It stings when reality doesn’t align with your expectations. Sometimes you fail because of your own missteps, and there are times you will fail because a situation is completely out of your control. Whether you failed the bar exam, the patent bar exam, or didn’t get the dream job, it’s these trying moments and these major setbacks that will define your drive and create your future. You could give up and walk away. That’s the easiest road to take and the road so many end up taking because of a setback. But you are stronger than you know. You are going to dust yourself off and keep trekking because you are in this for the long haul. Working as a patent agent or patent lawyer will be worth the setbacks you endure, and there are steps you can take to overcome any setback or obstacle. The first step is to take a deep breath and analyze the situation in which you failed. There are several questions you will need to ask yourself to properly understand everything that happened. Why did things go the way they did? Could you have prevented what happened or was it out of your hands? What could you do differently next time that might change the outcome to a positive one? What can you learn from this situation? This is where critical thinking comes into play. You have to think outside of your emotions and personal perception of a situation. You may feel you studied hard, but you failed the patent bar exam. If you look outside of your emotions, you may realize you may not have dedicated enough time to learning certain aspects of the patent process. You stumbled on specific questions. Looking at it from another perspective helps too. Ask a close colleague or friend to analyze your setback if you feel comfortable divulging in someone else on the situation. A setback can emotionally impact you more than you realize in the beginning. This can make your goal seem close to impossible. It can also cause a fear that can paralyze you from growing and trying again. You can’t let failure keep you down for too long. It’s okay to grieve and spend some time healing yourself, but you can’t wallow in misery for too long. You have to stay focused on your goal. If the situation deems it necessary, you may need to reevaluate your goals. Make them more accessible by creating smaller goals that lead up to your biggest goal. Make a list of what you want to accomplish. “Become a patent attorney” is too vague. Break it down into what steps you need to take to get there. As an example, “Pass the bar exam” can turn into “study four hours daily.” It helps to see these goals in writing. If you’ve already failed it, the next time you take the patent bar exam, you might need to try a different study routine. The only way to turn the negative of a setback into a positive one is to learn from what happened. This is where focusing on your goals helps immensely. You’ve analyzed your situation, and at this point, you should know what you need to change or work on to pass the exam on your next try. Make a detailed plan that will help you do better next time. 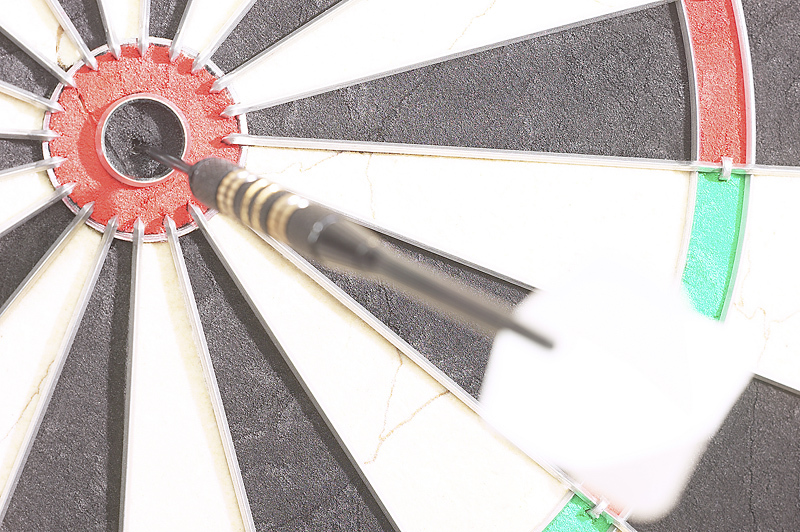 Break your goals down into bullet points or a diagram. Whatever works best for you that will guide you to success. You know where you took a wrong turn since you’ve analyzed the situation and you’ve created a detailed plan on what you need to do to do better. The next obvious step is to take action and begin the plan that you put thought into. You want to implement your plan and put it into action. You need to ignore the excuses in your head as to why this won’t work, or the thoughts telling you to give up. You need to step up and work harder. If you plan on studying, stick to your plan. Stick to the hours you’ve set for your study hours. Eliminate any distractions that could deter you. Stay focused on your goals, and this will motivate you when it comes to sticking to your plan. The most important thing to remember is to keep challenging yourself despite your struggles and setbacks. If you don’t, you will remain stagnate and won’t accomplish everything you have set out to do. If you accomplish your goals, set new ones. Your wisdom and maturity stop when you pique in life. So, don’t let yourself pique. Continue to grow and continue to learn. This goes beyond just your career as a patent attorney or agent. You want to grow in all aspects of your life. You want to be the best you that you can be. Everyone has setbacks, and everyone fails. You’re not alone in this, and you aren’t the first to be in your position, whether you failed the exam or bombed an interview. Success is subjective, but every successful person has one thing in common. They’ve all had setbacks, but they kept on fighting through these problems. They put their fists up and take a jab right back at life. The most common thought when one has a setback is that you’re a failure. You are only a failure if you give up trying. Preparing for the patent bar exam is more than a little overwhelming. There are a lot of complex details to learn. But if you’re open to taking responsibility for the results and hold yourself accountable, you’re already on your way to being successful. With the patent bar exam and in life, one thing that predicts success is how much accountability you take for your own actions. Before we talk about proper preparation and the role of personal accountability, let’s take a closer look at the exam itself. If you want to practice as a patent agent or attorney, you have to pass the bar exam. Before you can prepare for an exam, you have to know a little bit about it. The patent bar exam is structured like many exams with 100 multiple choice questions. The total time to take the exam is 6 hours, but it’s broken down into two sessions. There’s a 3-hour morning session, a 3-hour afternoon session, and an hour break in between. If you do the math, that leaves you with about 3 minutes and 45 seconds per question. That might seem like a lot of time, but most of the questions are long and include a lot of detail. You must answer at least 70% of the questions correctly to pass. There’s no penalty for getting an answer wrong, so it’s best to make an educated guess, even if you’re not sure. This test is notoriously difficult. In fact, on average, only 50% of people pass. The pass rate has actually been slightly below that in recent years. What can you do to give you the best chance of passing? There is no shortcut or trick. You just have to prepare. Now for some better news. During your exam, you’re allowed access to the Manual of Patent Examining Procedure (MPEP). It just so happens that the patent bar exam tests your knowledge of the MPEP and how well you apply it. That said, some people mistakenly think that since the patent exam is an open test they don’t bother to prepare properly. While it’s technically true that the exam is open book, it’s unrealistic to think that you’re going to be able to look up all the questions on test day. However, figuring out how to use the MPEP efficiently is a good start toward preparing for the exam. On exam day, the best way to approach the questions is to assume that you’ll need to spend time looking up the concepts that you don’t know. One really important thing about preparing is that you actually have to do it. That’s where personal accountability comes in. Generally, personal accountability can be explained with one simple question. How much of your success in life do you think is in your control? Believe it or not, if you think that your actions, behaviors, and choices are responsible for your own success, you’re more likely to be successful. If you believe that you are at least 85% responsible for your own success and that only 15% is left to chance or luck, you have a good chance of being successful in whatever you’re trying to achieve. Therefore, if you believe that your preparation, knowledge, and skill are going to contribute to passing the bar exam, then you’re more likely to pass. It’s not hard to see why. People who have personal accountability know that the time they put into preparing for the patent bar exam is more important than just hoping for a good score or a run of good luck. These are the people who are more likely to do the work needed to succeed. Not everyone has this much personal accountability, though. The good news? It’s a skill you can learn. The first step is to take responsibility for your actions. Responsible people know what they need to do, and they do it. That applies to both good and bad situations. It’s easy to take responsibility for hard work or a job that turned out well; but you also have to accept responsibility when the outcomes are not what you expected. An important way to focus on learning how to take responsibility is to not focus on the past. You can’t change the past. Dwelling on it often leads to regret and what-if’s. Instead, focus on what you can actively do about it. If you’ve failed exams in that past, try not to dwell on it or have the mindset that you’re just a bad test taker. Instead, ask yourself what you can do to have the best chance of passing. Personal accountability also has an element of self-empowerment. This helps you realize that you really do have the ability to change things and you can start to take the actions necessary to get what you want. It’s one thing to know what you have to do. It’s another thing altogether to actually do it. By taking responsibility for your own success and seeing that you have the power to change, you’ll be able to make things happen. 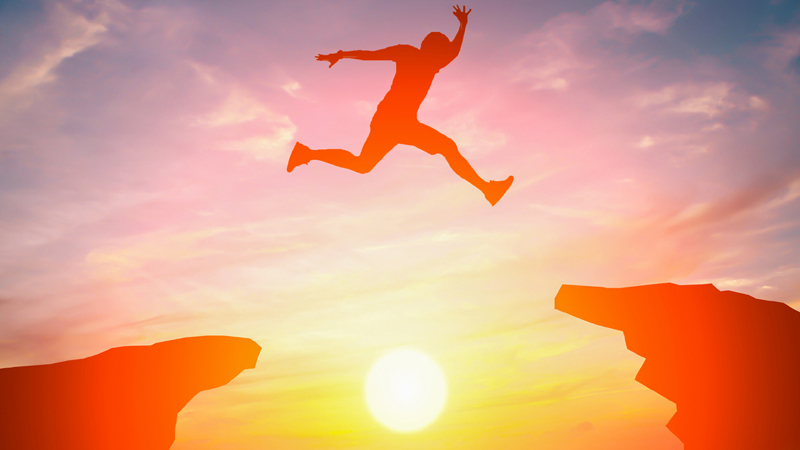 The patent bar exam is not easy, but it’s not impossible. Preparing is your best shot at passing. Whether or not you do the proper prep work is completely in your hands. 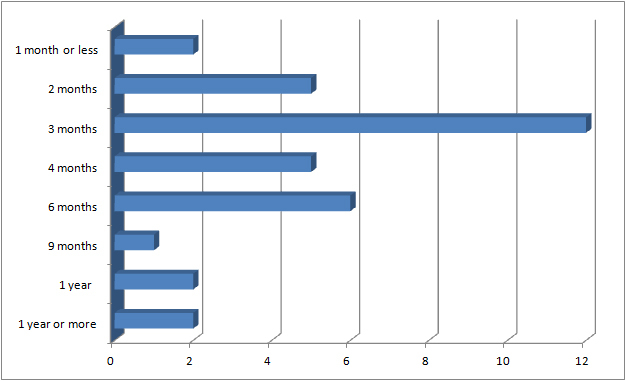 Ever wonder just how long it takes to prepare for and pass the patent bar exam? We decided to review success stories and additional comments sent in by clients who recently passed the exam to find out what the average length of study time is. The comments from the last 35 clients providing feedback through our survey form who both passed the exam and provided data about how long they spent studying were reviewed. The last 35 comments were used in order to focus only on recent statistics in order to be relevant to today’s test taker. The study would not be as helpful if data from a decade ago or more was used. Instead, the study was limited to the last 35 clients who provided both pieces of data which only went back the last couple of years or so. The number 35 was selected because it is enough to start gaining an idea of approximate study times within a recent range. After reviewing the data, it was found that the range in study time was less than 1 month (1 week) up to 1.5 years. Again, this is for the last 35 clients who provided an estimate of the time needed to prepare for the exam along with achieving a passing score. As you can see, the time range chosen the most often by far is the 3 month plan. Three months was chosen at a rate twice that of the next most popular plan which was 6 months. Two and 4 months were only slightly less at a little under half as popular. The rest were limited to just 1 or 2 clients. As shown from the breakdown; between 2 and 6 months are the most popular study prep times with 3 months being the most popular. Three months may be the most popular plan because once you apply to take the exam, the USPTO sets a 90-day window during which you must schedule and take the exam. So a lot of people may be applying, find out they have been approved, and then schedule an exam date at the very end of that 90-day period which equates to 3 months. This isn’t a bad idea because knowing you can’t postpone your exam date will help keep a lot of people on track. It’s a hard deadline which works well for many people. The only problem is when life gets in the way and you just aren’t ready by the end of that time-period. We typically advise clients to start studying first and when around half-way through your preparations, send in your application to sit for the patent bar. You can always schedule an exam date well before the 90-day window and in many cases just the week or two after you’re accepted at most Prometric centers if you happen to be ready. As far as how many hours clients are studying, that’s hard to estimate. A lot of our clients who sent in success stories tried to estimate the specific number of hours they spent studying, but many qualified it with a statement that they weren’t sure. As you can imagine, unless you log your time, it would be difficult to know exactly how many hours were spent studying. ” … off and on for 8 weeks. averaged 6 days a week. probably 4 hours a day. probably about 150 hours total. After reviewing each set of comments there’s a minimum average of about 120 hours to 240+ hours of total study time. But you can’t just spend 240+ hours randomly studying different chapters out of the MPEP. Focusing on the most likely to be tested topics and getting in both facts as well as the location of the facts is very important. Some people just focus on one or the other, but it’s important to put in significant hours on both. The test questions are difficult and they are going to be new to you. You need to know where some of the material is within the MPEP along with the ability to be able to find it very quickly so you can review the question and come up with the right answer. It’s the mix of these two important strategies; learning high frequency test topic as well as where topics are found within the MPEP that is important. We hope this study helps you with your patent bar prep planning! How many times have you heard that phrase in your life? In preparing for your career as a patent agent or attorney, you’re likely going to hear this a lot. The patent bar exam is intimidating and finding a job can be a long, frustrating process. As it turns out, there is merit in the idea of positive thinking. It might surprise you to learn that there is actually some scientific evidence that backs it up. You might think that positive thinking means trying to turn every situation into a positive one, but that’s not exactly the case. You can’t ignore that there are unpleasant, sad, and even downright devastating things that happen in life. Positive thinking just means that you approach them differently. You always try to see the best possible outcome instead of the worst. Self-talk is the stream of thoughts that go through everyone’s head, all the time. It’s also the source of positive thinking. One of the easiest ways to become a positive thinker is to identify negative thoughts when they show up. For some examples, let’s look at some common forms of negative thinking. If during your preparations for the patent bar you become overwhelmed and immediately start doubting yourself, the rest of your studying probably isn’t going to be very productive. If you look at the passing rates and think, “I don’t have a chance!” then you’re definitely not walking into test day with the best attitude. The same is true when you’re looking for a job, especially once you land an interview. You have to be able to walk into that first meeting with your future boss and believe that you can get the job. It will affect every interaction you have during the interview and give the impression that you are the best person for the job. If you aren’t a naturally positive thinker, you can become one with a little time and effort. Treat it like any other habit. The more often you do it, the more a part of your life it becomes. Focus on the things you usually think negatively about and make a focused effort to be more positive. Start small and focus on one thing at a time. Learn how to recognize when the negative thoughts get through. What triggered it? Is there a pattern? Once you can pick up on this, it’s easier to catch yourself and stop it. Try to laugh as much as you can. It helps reduce stress which will automatically make you feel more positive. Surround yourself with people who have a good outlook on life. You’ll get better advice and encouragement from people who always see the positive side of things. Don’t say anything to yourself that you wouldn’t say to your best friend. It’s true that we are often meaner to ourselves than we would ever be to anyone else. Start treating yourself with the same respect you give other people. Meditate to help you clear the stress and negativity from your mind. Keep a journal or diary to get out any negative thoughts. Sometimes, writing down what’s bothering you is enough to get it out of your head. Take a break every once in a while. Give yourself time to participate in activities you really like and that make you feel good. The first step to being a successful patent agent or attorney is to pass the patent bar exam. As we’ve mentioned, the exam is difficult, and you might be tempted to let yourself think that it’s impossible. By learning how to think positively, you can stop those negative and intrusive thoughts. Instead, practice positive self-talk. Tell yourself that you can do it. Congratulate yourself when you learn a section of the material. Think about other big exams that you’ve taken in your life that you did well on. Keeping a positive attitude while you prepare will help you keep motivated to put in the necessary work. The more prepared you are, the more likely you are to pass. Keep these strategies in mind when you are job hunting, too. Instead of thinking, “why would they want me?” think, “I am awesome, why wouldn’t they want me?” By seeing your worth and believing that good things can happen, you will approach the job hunt in a more positive way which will show through everything you do. If you walk into an interview and don’t believe you belong there, that’s going to come through. If you walk in expecting the best possible result, that’s going to show, too. Making a good impression is important when you’re interviewing and being positive is one way to do that. Don’t forget about self-care. 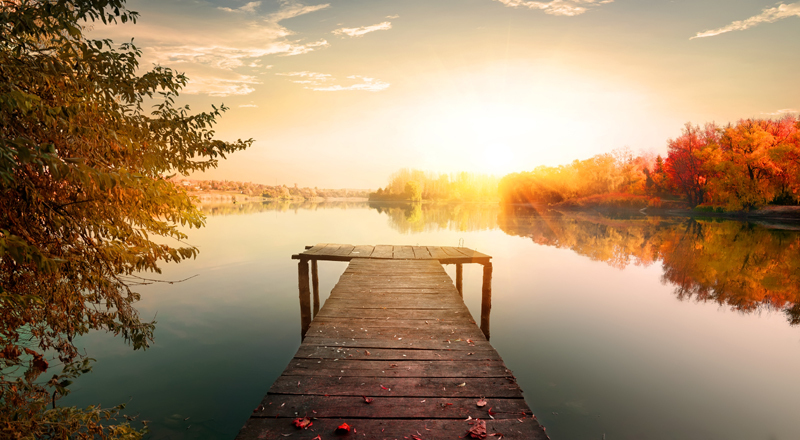 Taking time to decompress before something as stressful as an interview or a big exam can do wonders for your attitude. Sometimes, all you need to get rid of negative thoughts is a clear head. The true power of positive thinking isn’t magic. You can’t walk into the patent exam without preparing or show up to a job interview without the required experience and assume things are going to work out the way you want them to. But being able to picture the reality you want and believing that it’s possible will give you the motivation you need to do everything you have to do to keep preparing. What you focus on does become your reality. If you constantly think you’re going to fail, it’s likely that you will. That said, if you allow yourself to think positively, be hopeful, and do the necessary work to prepare, then you’ll find that you might end up exactly where you wanted to be. The Patent Bar exam is being updated in August of 2018. Starting August 16th, 2018, the 9th Edition, 08.2017 MPEP + 4 Exam Notices will be the covered materials. 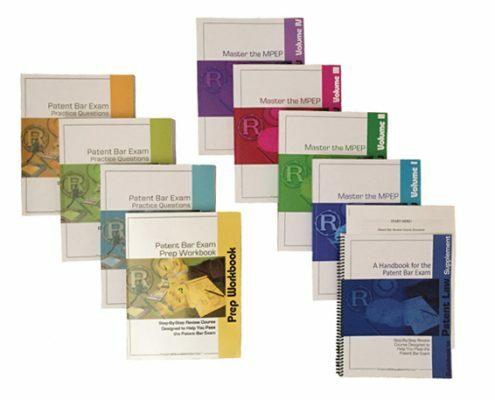 The PES Patent Bar review online course has been updated to reflect this material for the last several months. We have many clients already studying for the exam with this newer version of the program. The hard copy version of the 08.2017 post-August 16th, 2018 is also now available. Here are a few important notes to make about the new hard copies. Since we have recently switched the Basic Patent Training to the online Patent Training Workshop, the hard copy version of the course will no longer include any materials for this first step. 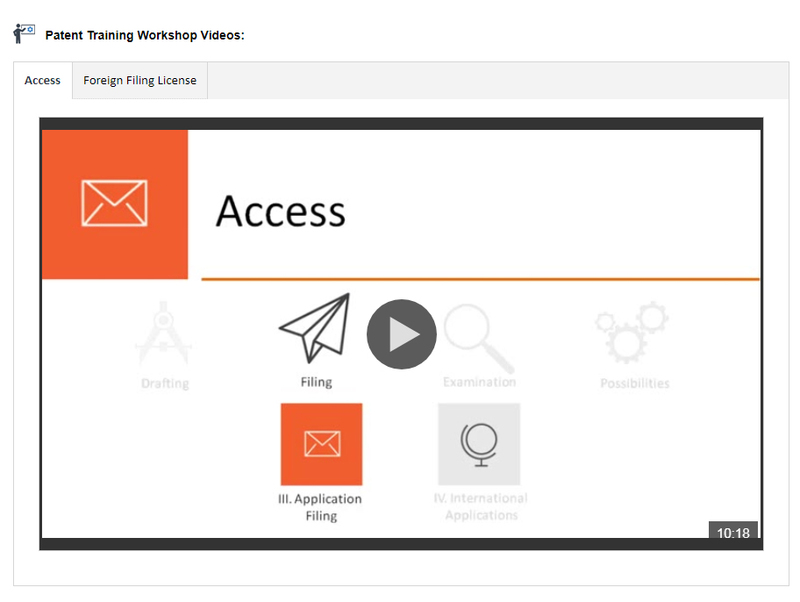 All enrollees will watch the videos in the Patent Training Workshop online. I think you’ll agree there’s no benefit to putting the Patent Training Workshop put on DVD since online streaming is possible from virtually any device. All the material listed above is also included in the online version of the course. However, if you need to study offline, we offer this in print format for you if you enroll in the online + hard copy version of the course. Here is the flow for those who enroll in the online + hard copy version of the course. Step I: Patent Training Workshop online. 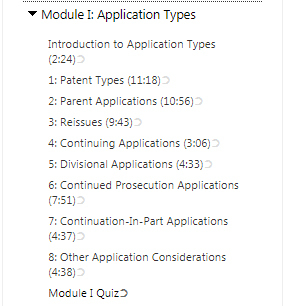 This step consists of 12+ hours of in-depth video, quizzes, and a glossary to get you up-to-speed on patent law. You will have access to all this online. Step II: Guidebooks + Workbook quizzes. You may study from the hard copy manuals to complete this step. Step III: Practice Exam Questions. You may study from the hard copy manuals to complete this step. The online version of the course continues to be our most popular version. We can offer it to you for a lower price and the interactivity makes it the best choice for many clients. Sign up for a free Patent Bar Review Trial Account to see exactly how that version works. However, if you think you would benefit from hard copy print materials, we offer that as an option too. If you’ve already invested in the online course there is a link within the client center to get the hard copy package for a lower price. Contact us if you need help finding it. For the updated 08.2017 post-August 16th, 2018 version of the course, a total of 194 new questions were added. This number includes quiz questions, workbook questions, and new practice exam questions. Although this was a minor update compared to many updates in the past we have spent 100’s of hours checking old questions and writing new questions as well as updating the Guidebooks in the client center. The online version of the course and the hard copy version are completely updated to include all the new material. We’re waiting to hear your success story next! The Patent Training Workshop has now replaced the older, Basic Patent Training course within the PES Patent Bar review. We have produced and uploaded approximately 12 hours of video for the new course and it is ready to go for you. 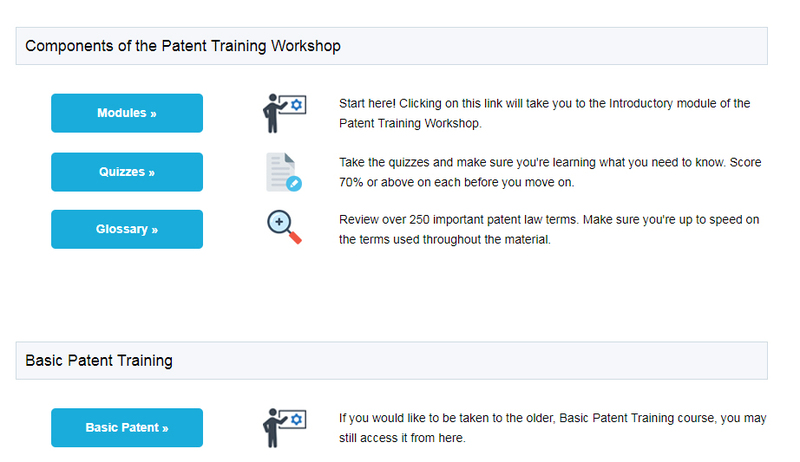 Now when you login to the course, you’ll see the Patent Training Workshop right up top. Clicking on that will take you to the Patent Training Workshop home page. If you still want to access the Basic Patent Training course, there is a link to do so at the bottom of the Patent Training Workshop home page. 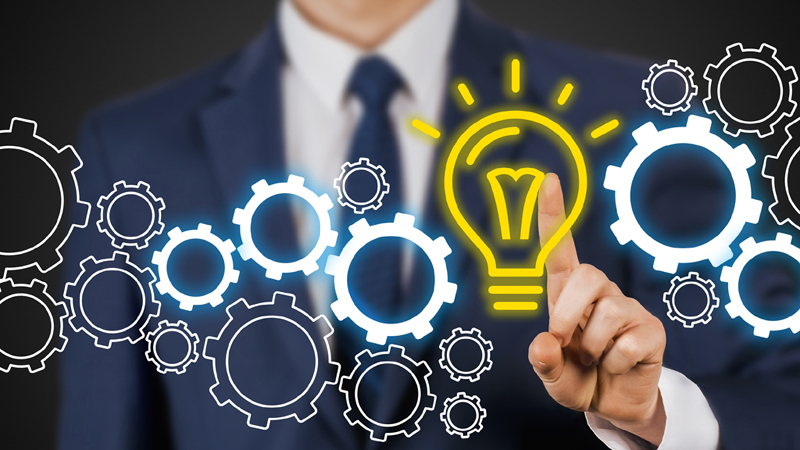 The Patent Training Workshop is set out with an Introductory Module which covers the who, what, why, when, where, and how to’s of patent law. It is around 1 hour in length and will provide you with the basics of patent law. If you haven’t yet enrolled and are interested, you may watch the videos in the Introductory Module for free by signing up to get a Trial Account. 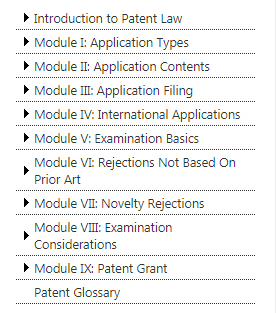 Once you’ve watched the Introductory Module, you will progress onto Module I of the Patent Training Workshop. The Patent Training Workshop is just the first step in the PES Patent Bar review. Once you go through it, you will have gained expertise in the area of patent law and will be more than ready to progress onto Step II which is mastering the MPEP. That’s where you’ll learn the details and structure of the MPEP through our Guidebooks to Patent Law as well as the Workbook Quizzes. To really integrate the Workshop into the rest of our program, we link to the related videos from the Patent Training Workshop on each Guidebook chapter page. 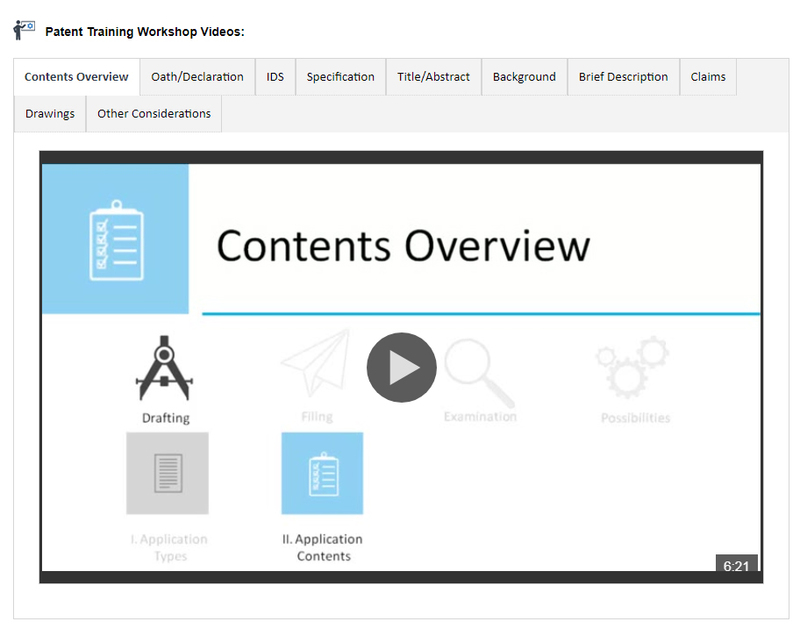 As you can see, there’s a new icon titled ‘Training’ and clicking on that will take you to the video(s) that cover topics in the chapter from the Patent Training Workshop course. For instance, in the home page for chapter 100, we have embedded the ‘Access’ and ‘Foreign Filing License’ Patent Training videos for easy access. Both these topics are covered in chapter 100 so you can watch those videos either for the first time, or for a second time right before you go through the chapter. Each topic video in the Workshop averages around 10 minutes in length. So they don’t take up too much of your time and re-watching them is only going to help you master the material. We’ve done this for each chapter and section covered in the Guidebooks. Here’s another example, this one from chapter 600, which covers ‘Parts, Form and Content of Application’. As you can see, this chapter includes a number of videos pulled out for you and embedded right where you need them. We do suggest going through the complete Patent Training Workshop first and then starting in with Step II of the program. If you’d like to re-watch the videos in that second step, this new feature will make it easy for you to find what you need. And if you’re already part of the way through the course, you can definitely watch the videos as you get to them while working through the Guidebook or set some time aside to go through the entire Workshop full of videos. Think of it as an additional tool to help you pass and if you’re already enrolled, you gain access to it at no extra charge. We’re very happy to put this new training together for you and help you get on the path to a new career in patent law!